This is a new 2018 Closeout. Please call for discounted pricing. 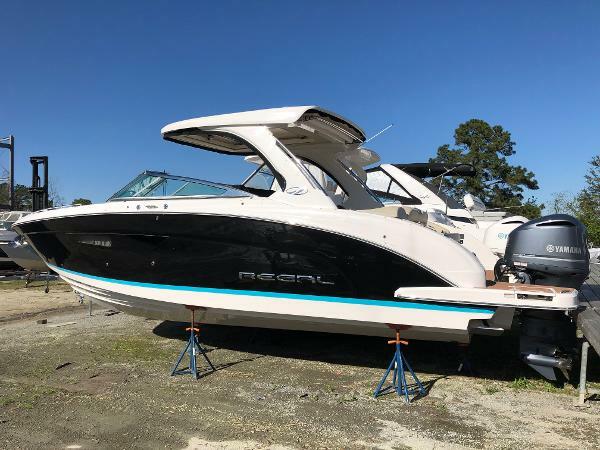 Options on this all new Regal 33 Outboard Bowrider include transom door, flagpole, rod holders, full enclosure, trim tabs with indicators, generator, power package (30 amp shore power, outlets and cabin AC), pebble beach interior, custom gelcoat black with newport blue, cockpit TV, hardtop, aft hardtop electric Sureshade, windshield wiper, port light in cabin, gas grill, bow walk through doors, premium package (anchor windlass, bow filler cushion, cockpit table, storage mats and platform cleats), fender clips, Garmin VHF, Garmin 7612 GPS, SeaDek swim platform, cockpit seagrass mat, electric toilet with pumpout, bow and cockpit covers and bow thruster. To keep this boat looking nice, we have it still under shrink wrap but would be happy to uncover it if you swing by or would like to make an appointment. 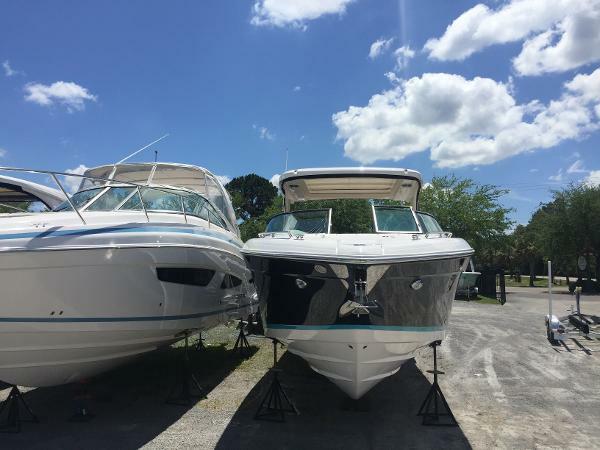 Come see the largest outboard powered Regal bowrider with quarterberth cabin the 33 OBX. 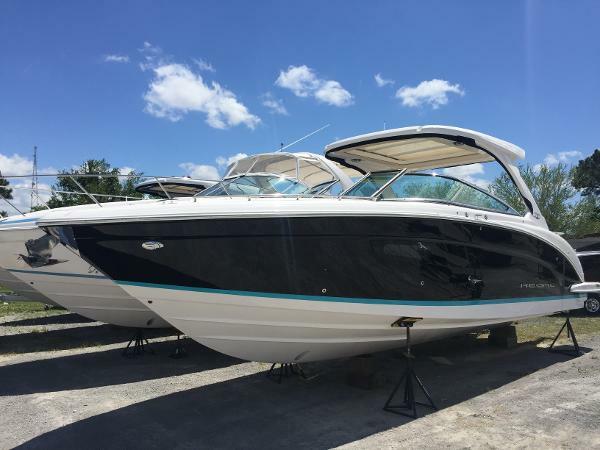 This boat can do it all and run with the best of them with twin Yamaha 300 XCA engines. Working around close quarters should be easy with the bow thruster. The waters are waiting to be explored. Explore them without limits with the Regal 33 OBX. Equipped for exhilarating adventure and premium entertainment, there is nothing this versatile luxury outboard can’t do. Live large with the expansive cockpit refreshment center and stay a bit longer in the comfortable berth accompanied by a well equipped head. Expect more out of boating with the 33 OBX.